I’m having to dictate this entire blog post through my computer. I was enjoying General conference and in between sessions I decided to make a little treat for my niece and myself. However, things turned interesting when I cut into my finger with a can lid. We had to rush to InstaCare who then directed me to the ER. 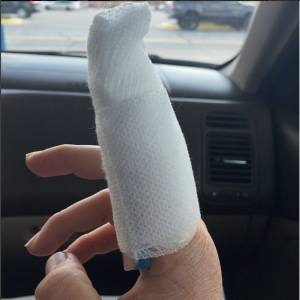 After taking pictures of my finger and wound, the doctor stitched me up and sent me home. I thought it would be over, but the ER doctor recommended that I go see a specialist to make sure that I hadn’t damaged anything. That Tuesday, I went to the specialist and he determined that I would need surgery to repair the tendon that I had cut in my finger. 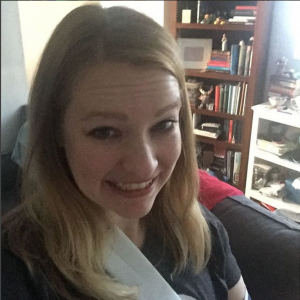 By Wednesday, I left the outpatient surgical center with a new cast (they called it a splint but it was basically a cast). 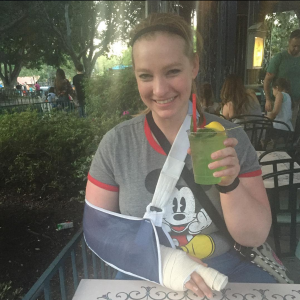 Here’s a picture of me with said cast at Disneyland enjoying a mint julep. It’s the only picture I’ve allowed of me with that thing on my hand. I discovered that I was much faster at dictating than typing with one hand. My patience ran very thin and my frustration was at an all-time high. I had to ask for help opening a candy bar or a fruit snack. I really missed having my right hand. I couldn’t write or do anything with it (except press a couple of buttons with my middle finger—only because it is the longest of all my fingers). But that’s how life goes. Sometimes you wished that certain things didn’t happen a particular way, but you end up having to just accept it and move on. 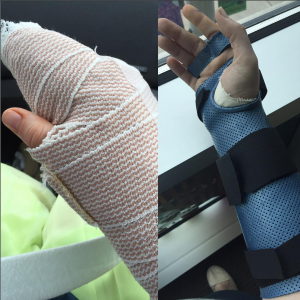 Two and a half weeks later I became way more adept at typing than I was the day after surgery. Now, I’m six weeks out and I only have a finger splint. I’m typing much faster these days and I think everyone is grateful that I’m back to normal. Always remove the can lid completely. I’ll never complain about my right hand again.